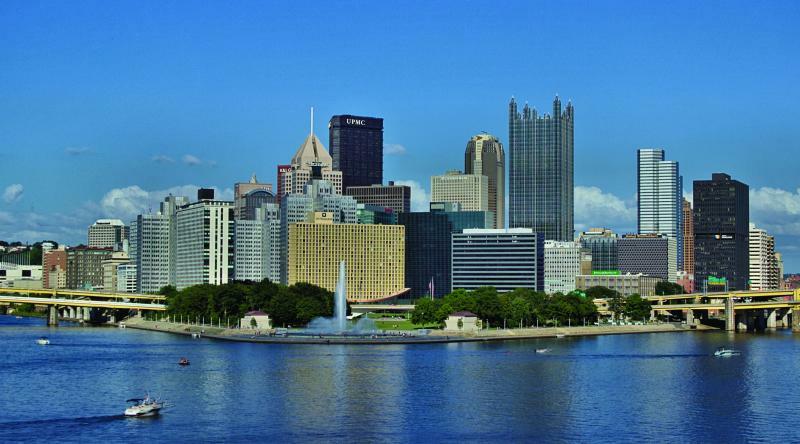 Welcome to the Pittsburgh Regional Future City Competition Site! Registration for this year's Regional Competition has CLOSED as of Monday, October 15th! 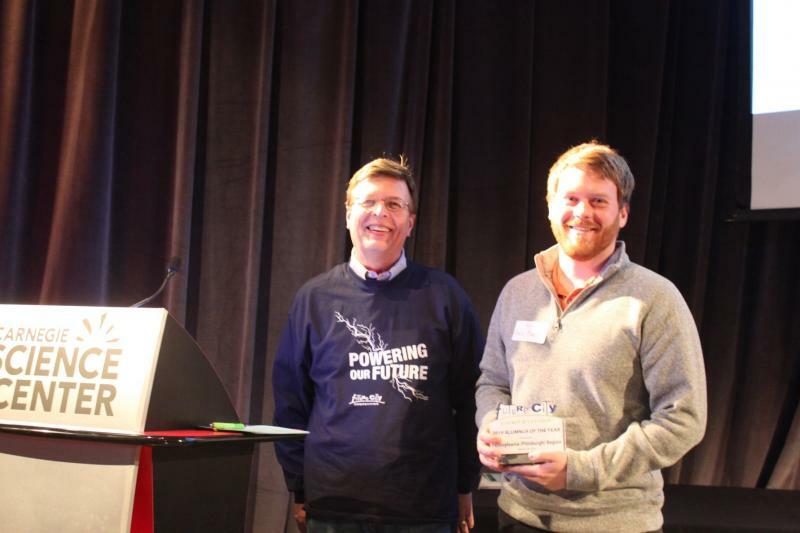 The 2018-2019 Future City Competition Theme is - Powering the Future! Future City starts with a question—how can we make the world a better place? To answer it, 6th, 7th, and 8th grade students imagine, research, design, and build cities of the future that showcase their solution to a citywide sustainability issue. Each city must incorporate a solution to a design challenge that changes each year. Past topics include stormwater management, urban agriculture, and green energy. The 2018-2019 challenge will be announced in July. 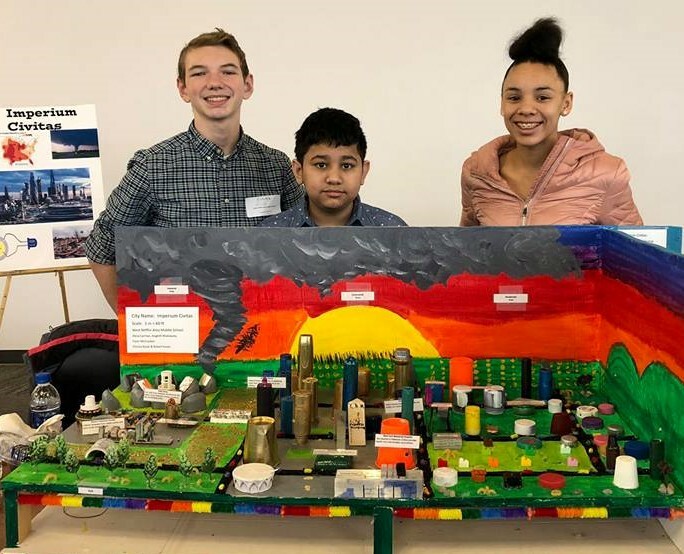 Students present their solutions via a virtual city design (using SimCity); a 1,500-word city essay; a scale model; a project plan, and a presentation to judges at Regional Competitions in January. 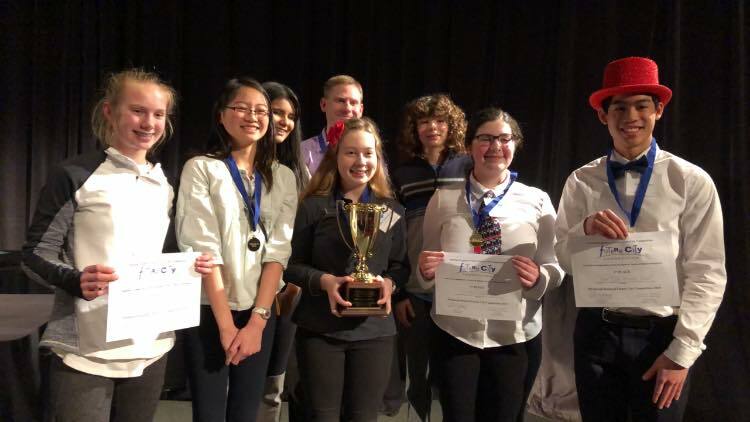 Winners will represent Pittsburgh at the National Finals in Washington, DC in February. After the competition is over, student participants are not only prepared to be citizens of today’s complex and technical world, they are poised to become the drivers of tomorrow. The 20th Pittsburgh Regional Future City Competition was held on January 19, 2019 at the Carnegie Science Center in the brand new PPG Science Pavilion. Congratulations to the following winners of the 20th Pittsburgh Regional Future City Competition! Future City Pittsburgh Alumnus of the Year - Eric Belski, M.Sc. Also, visit (and like!) our Facebook page, https://www.facebook.com/pghfuturecity for more competition photos. We hope to see you at the 21st Pittsburgh Regional Competition at the Carnegie Science Center in January 2020! St. Bernadette School's winning presentation, https://youtu.be/zK8gNV7p6F8. The 2017 Future City Competition team from Baden Academy Media Lab shares their experience, watch here! The 2016 competition impacted this young engineer. Listen to Timothy Snyder, 6th grade Future City participant, speaking on TED Ed Club about one inspiring judge. And also follow us on Facebook! DiscoverE provides the airfare and hotel accommodations for the five winning team members from each region. Team members are responsible for all additional expenses such as ground transportation and meals. The National First Place team will win a trip to the U.S. Space Camp. Other prizes include scholarships, computers, and savings bonds. In addition, teams were eligible for special awards and recognition sponsored by engineering societies and other organizations.